Coast Capital Savings, Canada’s biggest credit union by membership, plans to expand beyond British Columbia to challenge the dominance of the nation’s banks. The member-owned lender expects approval from the province to become federally regulated by the end of June, with consent from Canada’s financial watchdog by the middle of next year, Chief Executive Officer Don Coulter said in a March 30 interview. Based in Surrey, Coast Capital has 543,000 members and C$15 billion ($11 billion) in total assets, according to a March 8 statement. 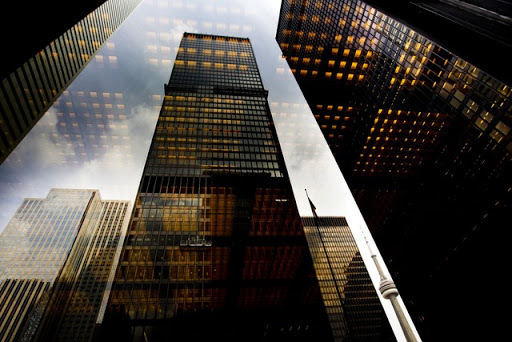 Canada’s financial system is among the most concentrated of the world’s advanced economies, with its "Big Six" banks holding 93 percent of banking assets, according to a 2014 International Monetary Fund study. Consumers could do with more competition, Coulter said. "We’re different from the large banks because we’re not publicly traded," Coulter said. Credit unions can offer better terms, service and long-term benefits to their members than banks, which face pressure to deliver quarterly results to investors, he said. "We see the overall credit union pie getting bigger." Coast Capital would be the second credit union to receive approval to go national, he said, following New Brunswick’s UNI Financial Cooperation, which received approval in July. Canada’s Office of the Superintendent of Financial Institutions doesn’t comment on individual applications, but it “encourages competition and innovation in the banking world,” spokeswoman Annik Faucher said in an emailed statement. Credit unions seeking a federal charter are subject to the same supervision as other federally regulated financial institutions, she said. Canadians have taken on historically high levels of debt, exceeding the country’s gross domestic product for the first time last year and prompting alarm among policy makers. Banks dominate lending, accounting for about 85 percent of total loans, Coulter said. Yet there are signs that credit unions may be doing a better job of managing credit risk. Canadian credit union consumer loans show average lower delinquency rates compared with banks: 15 percent less on credit cards, 69 percent on credit lines and 79 percent on installment loans such as mortgages, according to a November study by consumer-credit rater TransUnion. While financial institutions have sought to lend more aggressively amid slow growth and eroding margins, as many as a million of Canada’s 26 million active borrowers would be unable to absorb a 1 percent increase in interest rates, TransUnion estimated. Asked if expanding nationwide in such an environment was risky, Coulter said, "We think this is an ideal time. We’ll be able to grow, generate more scale and ultimately be more sustainable."